Always wear gloves when handling or washing the nettles. The moment nettles meet the heat, no matter how you’re cooking them, they lose their sting. Cook off the onion, leeks, garlic and celery in the butter. Add the chicken or vegetable stock. 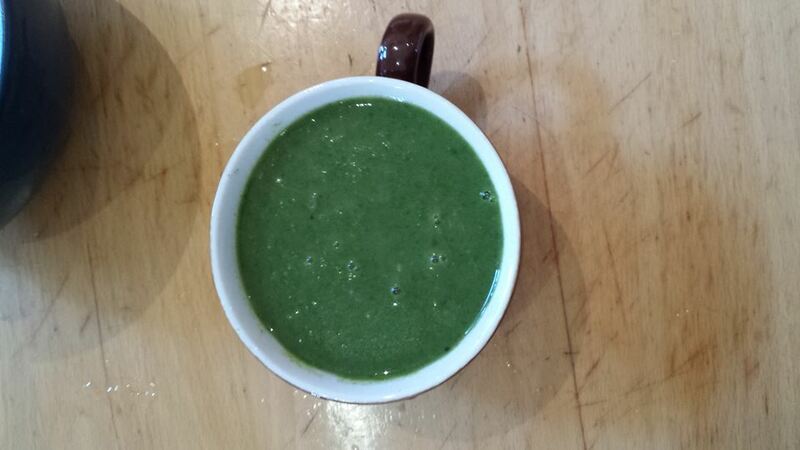 Blanch the nettles quite quickly in the soup, to preserve the wonderful colour and delicious nutty flavour, then blitz it with a hand blender or in a food processor. I had some leftover mashed potato, so I whizzed it in. Spicy is also good, so add chillies or hot sauce to taste. A dollop of natural yoghurt or cream on top is a winner, as is serving the soup with some crunchy bread. Nettles are rich in iron and vitamin C; they’re as good for you as broccoli or spinach, and can be cooked in a number of ways – in a frittata or gnocchi, for example. Nettles are also good for your garden, and should be valued, not only for their potential as a food source, but as a nitrogen fixer for your soil and a rich addition to your compost. Nettle photos courtesy of CERES.